During the Inside Xbox live stream, a new Xbox One S Fortnite bundle was announced. 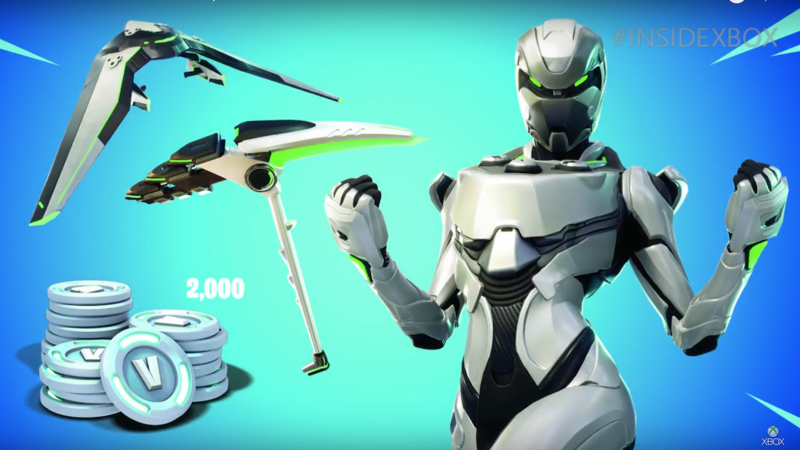 The $300 USD Fortnite Xbox One S bundle comes with 2,000 V-bucks, which is enough to get a season 6 battle pass, along with other in-game items. Also included is a legendary Eon character outfit, Epic Aurora glider, and the rare Resonator pickup. The release date is yet to be announced, but the bundle will include a 1TB Xbox One S and is the first Xbox exclusive Fortnite content.